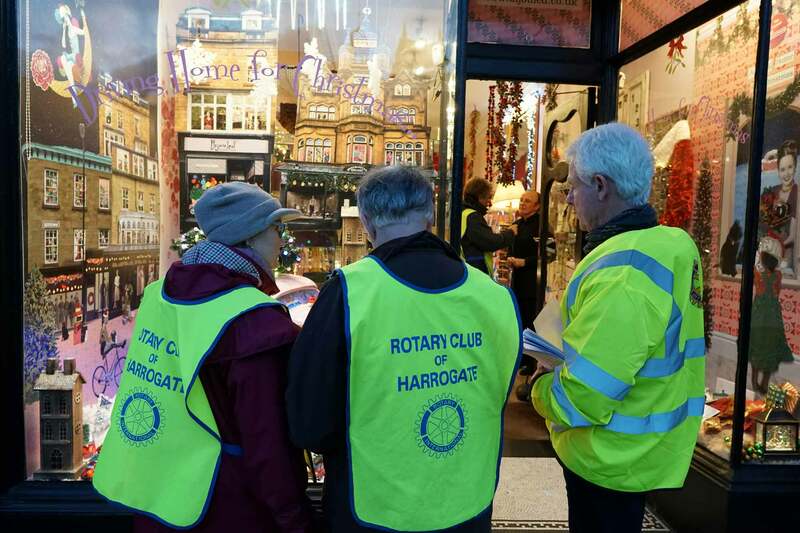 The judging took place this evening (29 November 2018) for the best Christmas shop window display in Harrogate. 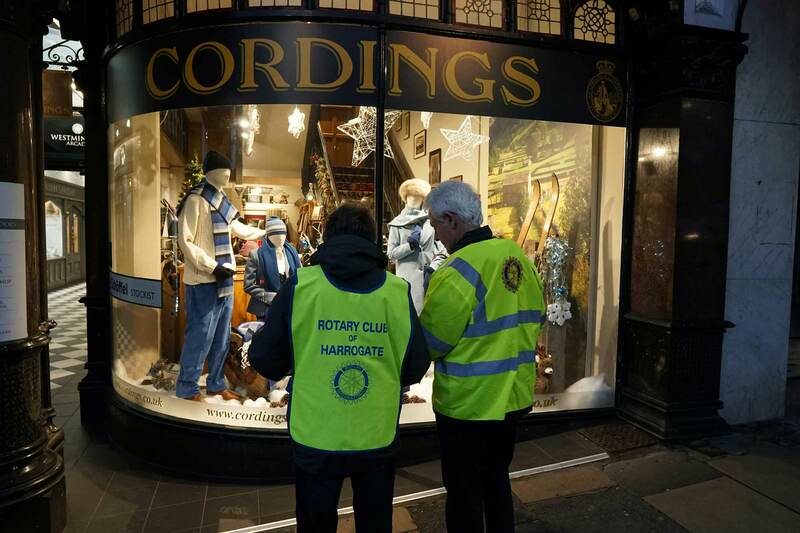 The team from the Rotary Club of Harrogate spent from 4pm until 8pm covering all areas of the town centre, looking at many shop window displays. 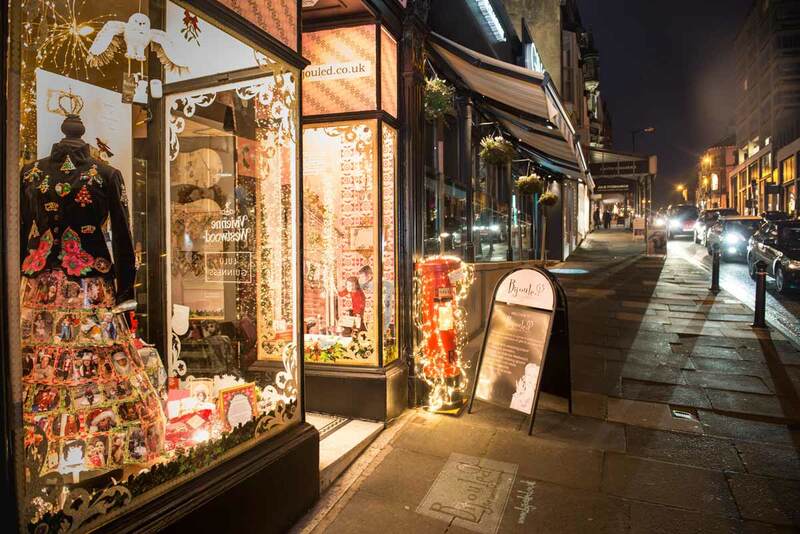 Spirit of Christmas – How well does the display convey the ‘Spirit of Christmas’? Illumination – How well is the window lit up? 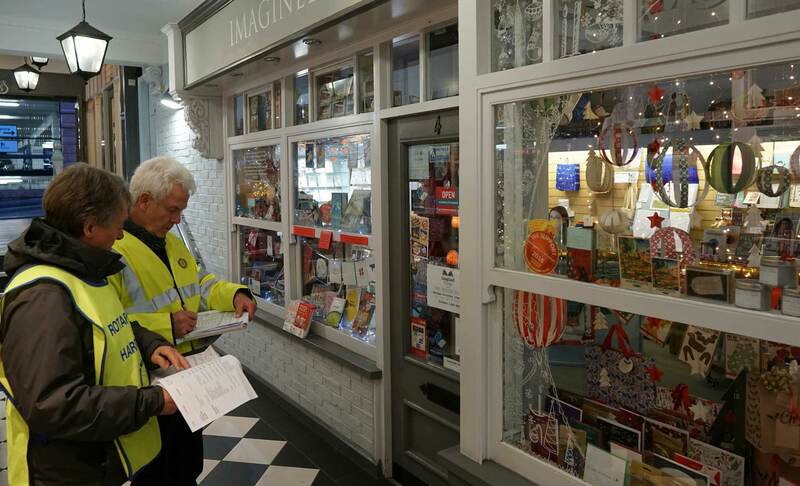 Innovation – How new or different is the window display? Judges worked in pairs and award up to 5 points for each of the criteria, a total of 15 points . Each window was judged by at least 5 pairs and at the end of the judging all the scores for a particular window were brought together and an average score calculated for that window – the highest score will be the winner. Judging will be in three categories, large retailer, medium retailer and small retailer. The highest score in each category will be the winner for that category and the highest overall score overall score will be the overall winner. 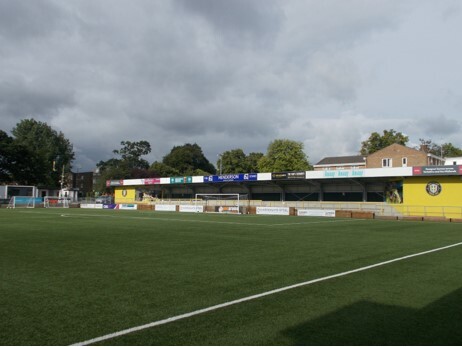 The judges may also award Highly Commended certificates in each category to displays that score highly but are not the overall winner in that category. The points are now being counted and the results will be announced on Tuesday, 4 December 2018.